Are You Riding a Blind Horse? By the Grace of God and personal discipline, Robin and I have enjoyed 29+ years of marriage so far. Like everyone else, we’ve had times when we have drifted apart and intimacy waned and times when we’ve rediscovered the infatuation of puppy love. Ebbs and flows. Honestly, we’ve never mastered the “praying together” key to success that all the Christian marriage books stress so heavily. We’ve prayed together during some particularly tough times but, on the whole, we’ve each had separate prayer lives. When we’ve tried praying together, it feels like I am just putting on my pastor hat. But, we’ve always shared what we pray for, we pray for each other and we talk about what God is teaching us. But the “pray together” thing? The marriage books might call us failures. I’d argue that! The keys to the success of our marriage? One is that we’ve never stopped dating. We’ve been together long enough to recognize the patterns of intimacy in our marriage. When we don’t make time for each other, intimacy wanes. We self-correct by making sure to reconnect by dating. We like to share each others interests as well as learn new things together. Our latest adventure will be a ballroom dance class. In the first years of our marriage, I wanted to share one of Robin’s passions. Robin was a junior Olympian horse jumper and spent much of her childhood at one barn or another. She went on three-day rides for 100 miles. She loved horses. Me? I was terrified of horses because of my childhood experiences. Geronimo kept his pace by staying close to the horse in front of him. He was not going to run or move. 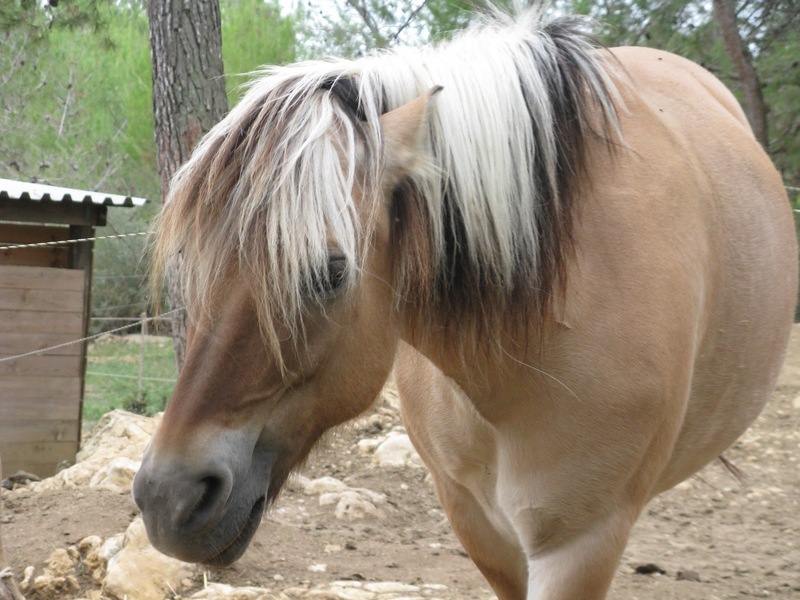 He was, supposedly, the perfect horse for me … until we went down a small hill and the horse in front of us stumbled and trotted a few steps up the other side leaving Geronimo on his own. Geronimo stepped into the mud by the stream at the bottom of the hill and freaked out! Suddenly I was on a blind horse running in the woods! Geronimo ran until he smacked into a tree. We laugh about it now but there have been few things in my life more scary than gripping the mane of a blind horse running in the woods. Today, I see lots of people riding blind horses in their lives. No, not actual horses but they plant themselves on things that I see leading to collisions with the trees of heartbreak and ruin. I see young families with both parents working themselves to death to afford the 3200 square foot house, the lake house and the new vehicles with satellite radio and heated seats. The debt of their lifestyles puts crushing weight on their marriages until they break and end in divorce. I hear teenagers talking about anxiety problems while they apply to 7-10 colleges and feel the pressure to get into the best school so they can land the job that will bring them wealth and fulfillment. Then I see them graduate college with mountains of debt and no jobs that will allow them to make the payments. They hit the tree of depression and disappointment and move back home with their parents. Is there an alternative? Yes there is. But, it is foolishness to society. Jesus told the parable about the men who chose different locations to build their houses. One built his on sand and was washed away by the storm. The other chose the rock and withstood the storm. The rock is Christ. The rock is faith. The Good News is that you can climb off that blind horse you are on at any time. The Good News is that you can rebuild your house and plant it firmly on the rock. It’s totally your choice and it’s never too late. Simple. Shepherds. Angel. Baby. Manger. Peace. 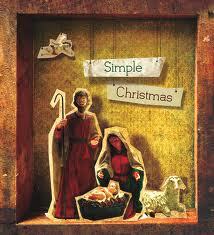 As I look around me, I would not use the word “simple” to describe Christmas in our society. I wouldn’t use the word “peace” either. What words would you use? Hectic? Stressful? Hurried? Taxing? Depressing? What are your words? Lots of people use negative words to describe Christmas. The church is no different. Calendars get packed with celebrations and gatherings. There are performances, readings, decorations and colored candles. Children are shuffled to practices for Christmas pageants, costumes are sewn, trees decorated. Some churches spend thousands upon thousands on spectacular presentations that they begin working on in June or even sooner. I wonder if my Jesus is happy with what a big deal his birth has become. I mean, why did my God choose such a simple, quiet, ordinary setting for the arrival of the Savior? Why do we not read of annual celebrations until 300-400 years after Christ? Why did Paul never give Timothy instructions how to prepare for the anniversary of the birth of Jesus, what readings to do, or what candles to light? Why did the creche (nativity scene) not appear on the scene until 1223 as the idea of Saint Francis of Assisi? Relax. I’m not saying we have to get rid of everything Christmas. I love Christmas and cry at the end of most every Hallmark special. I like our tree, our stockings and I love buying gifts for the people I love. I love surprising strangers by meeting their needs. Extrabiblical does not equal unbiblical. But I am suggesting that we take things down a notch or two … or 10 … to simplify our Christmas celebrations until they are a better reflection of Jesus. Christmas is the story of God connecting to mankind. It’s not a show, not a performance and not a gift-giving contest. It is God caring for us so much that He chose to lower Himself and walk among us in human form. Simple birth, common surroundings, ordinary upbringing and a walking example for us to follow. Christmas was never meant to be limited to one time of year. Christmas was meant to be a saturating, life-shaking, game changer that flipped everything upside down and made relationship with the God of the universe possible. God with us. Pause. Think on that just a minute. Through Jesus, God is with you. With you in the midst of celebration and with you when cancer eats at your body. God is with you in times of feast and with you when the cupboards are empty. God is with you when you have people around you and with you when you are alone. God with us. Emmanuel. The birth, life and death of Jesus shows us that our God does “messy.” He gets it. He gets you. And the resurrection of Jesus shows us that messy does not win. For those who put their trust in Jesus, messy will not win.